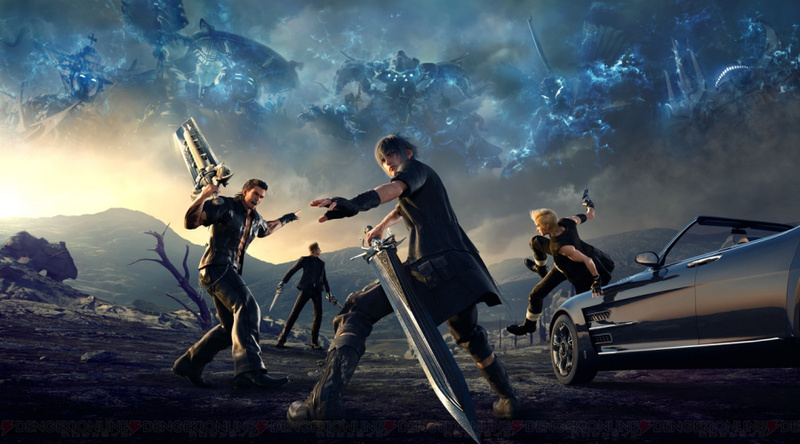 It looks like Final Fantasy XV will be repackaged as some sort of complete edition in the near future, according to a recent ESRB rating for "Final Fantasy XV Royal Edition". The rating board's description doesn't really give us anything to go on, but we assume this'll bundle the base game along with all of its already released expansions. An official announcement wouldn't have been much of a surprise anyway, but it could end up being a decent package for those who haven't played the open world action role-playing title yet. Our only concern is that, when you add it all up, Final Fantasy XV's total file size weighs in at close to 100GB on PlayStation 4. You'll probably want to make room on your hard drive for this one. Would you be interested in this Royal Edition? Join Noct and the boys in the comments section below. Finally - been holding out for the complete edition and my patience is rewarded. Now if we can finally get the Nioh complete package, physically, and my 2017 purchases will be complete. Finally, been waiting for a complete edition for so long. So many new people to massively disappoint. 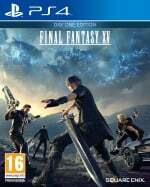 Great for the fans, I guess, but I'm particularly tired of Final Fantasy XV, I only finished the main game and didn't bother with the dlcs. Complete mess is closer to the truth. i got it 4 days ago..still worth the money tho great game. @Danloaded I imagine they'll re-release the game with all DLC eventually, in a true Complete Edition. Royal Edition is simply the game plus the "1st" Season Pass so far. @JaxxDuffer There is a Nioh Complete Edition physically, but Japan exclusive and I highly doubt it'll ever be making it's way to the U.S.
You're better off buying the physical game + Season pass separately, or buy the digital complete edition. @Krest_arisen @Bingoboyop @Nakatomi_Uk I was impatiently stupid and bought the game by itself for $20 during Black Friday. I haven't opened the shrinkwrap though, so I may just return my copy and wait for the Royal Edition to drop to $20-$30 New or wait for the inevitable true Complete Edition to drop down to $20-$30 New. @Krest_arisen Mind the language please.